The official merchandise for the upcoming B’z LIVE-GYM 2015 -epic night- shows has been announced. 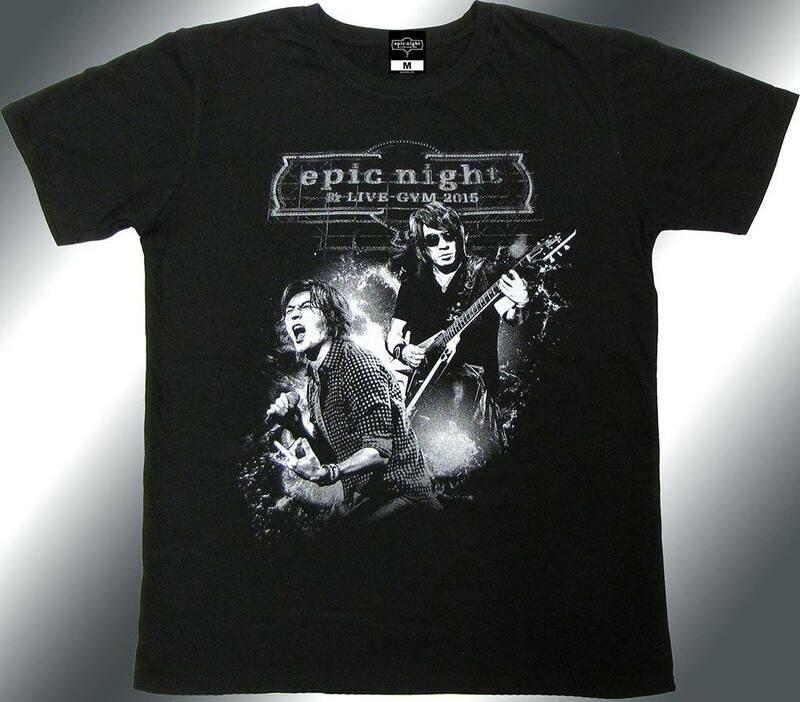 There will be one exclusive T-shirt featuring the -epic night- logo as well as Tak and Koshi. This T-shirt is sold exclusively at the B’z LIVE-GYM 2015 -epic night- shows, and will not be available for purchase at the stadium shows. Furthermore, only said T-shirt and the charity mug are available for purchase at the -epic night- shows. No further merchandise is available. The T-shirt costs 2,500 Yen and is available in sizes XS,S,M,L,XL. 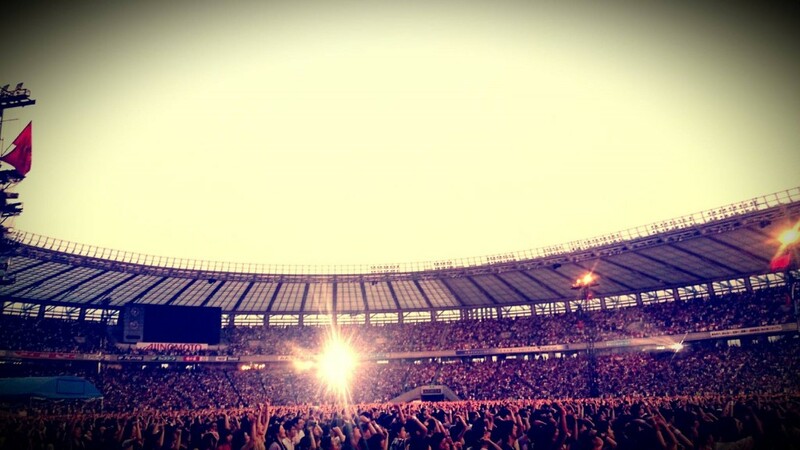 The stadium part of the EPIC NIGHT tour has kicked off in Tokyo at the Ajinomoto Stadium today. And we have the setlist right here for you! 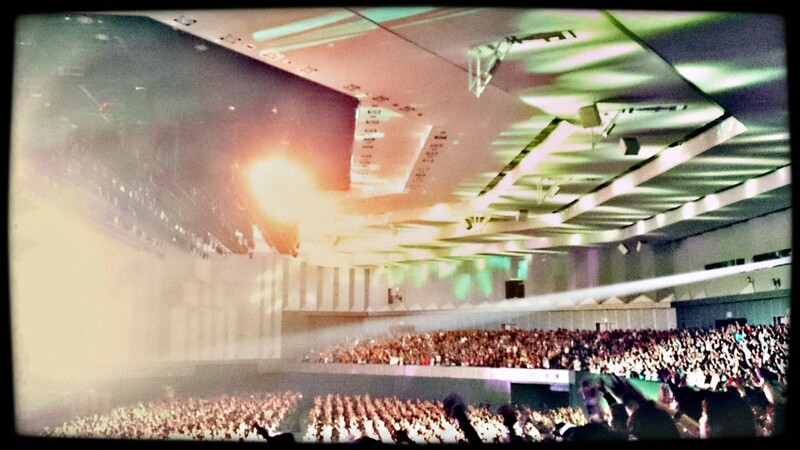 B’z have just wrapped up the hall & arena leg of their latest tour. The dome portion begins June 13th! 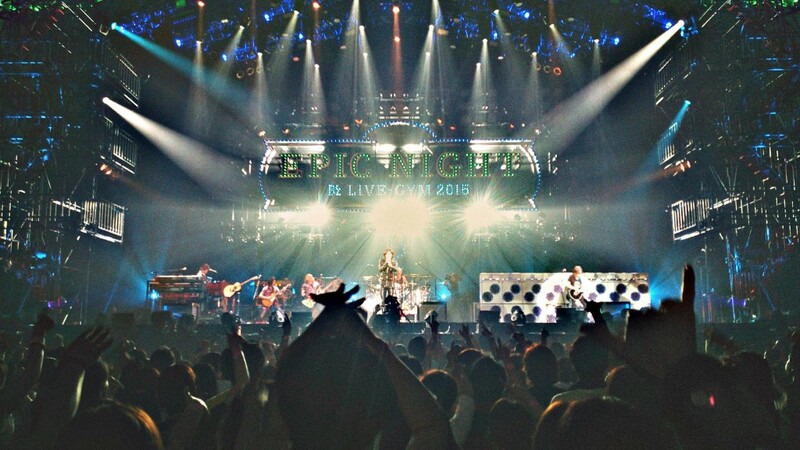 After twenty-seven shows over two months, B’z have just wrapped up the hall and arena leg of their latest tour, B’z LIVE-GYM 2015 -EPIC NIGHT-, with a two-night showing at Okinawa Convention Center. 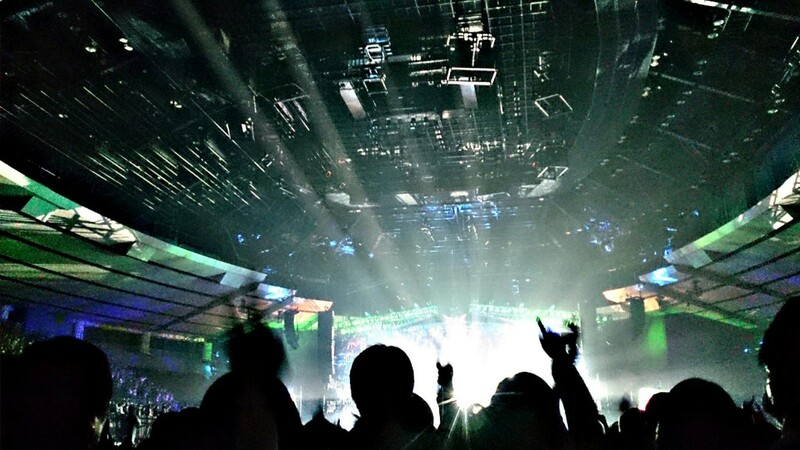 We published a full live report on the April 2nd show in Yokohama here that you may wish to read to get more details on how the shows have been playing out. The tour saw a great many songs from their latest album EPIC DAY performed, as well as the revival of several older classics. For a full rundown on every song played—including how frequently each made an appearance—and some speculation on what the dome tour could bring, continue reading below. Four additional shows have just been announced for the ongoing B’z LIVE-GYM 2015 -EPIC NIGHT- tour. 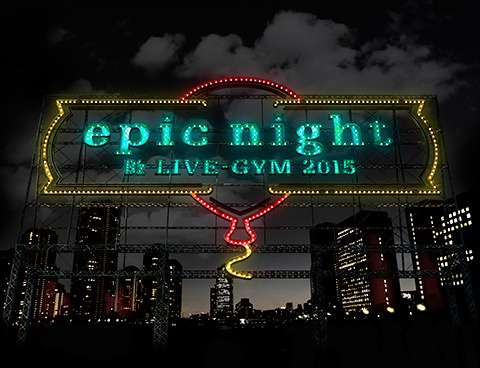 These four shows will be part of B’z LIVE-GYM 2015 -epic night-. Yes, you read that right: “epic night” in lowercase letters. A fanclub draw will not be available for these shows due to the announcement being very short notice. However, a small amount of fanclub exclusive tickets is available. Both, regular fans and fanclub members apply on the same site, that is https://ticket-every.jp/bz2015/. Fanclub members have the chance to apply for tickets twice: the fanclub exclusive registration as well as the regular registration. However, regulations regarding the ticket sign-up procedure have become a lot stricter this time around. A face picture is required to be uploaded to the service upon registration, and that includes your +1 in case you order two tickets. Furthermore, identity verification will take place at the venue and the accepted identification methods make it impossible for people from outside Japan to get to these shows. Here’s the setlist for the two B’z shows at Hiroshima Green Arena! Here’s the setlist for the two B’z shows at Asty Tokushima!